Look, we may have had to google LOGIC to find out who he is, but given his apparent popularity, this story is a pretty big deal. The American rapper and producer (thanks Google) will have some sort of part to play in The Last of Us: Part II. 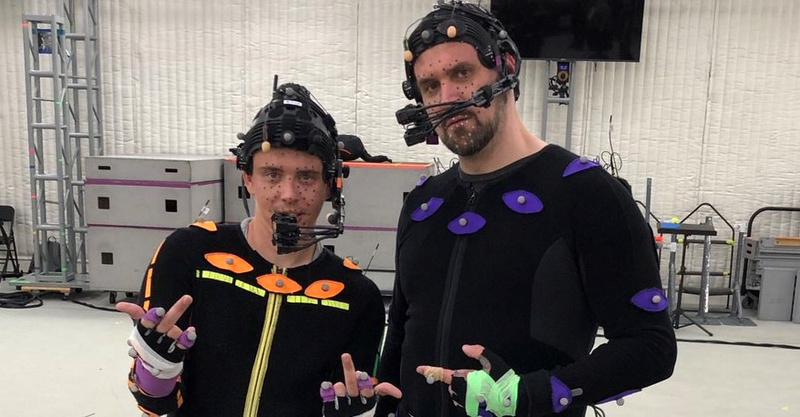 He shows up alongside veteran voice actor Travis Willingham in a photograph that game writer and director Neil Druckmann posted to Twitter. 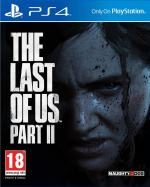 The fact that such a well-known celebrity is appearing in the upcoming PlayStation exclusive seems a bit mad -- it's indicative of just how huge Naughty Dog's games are at this point in time. The studio really has come a long way since the humble days of Crash Bandicoot, hasn't it? Are you a LOGIC fan? Feel free to poke fun at our lack of knowledge in the comments section below. DISCLAIMER: Sammy knew who he was. Logic is really famous and great underground rapper. I have no clue how you missed out on him 😂. He is also a proud gamer so this collaboration is pretty interesting to see. No worries. As long as he’s not playing a rapper in it lol. Also, fun fact: From 1995 to 2008 I performed as a rapper named “LOGIK”. Did some shows, opened for Mos Def and DMX and made 2 albums. Fun times lol. @AhmadSumadi Damn, you're the OG! The first I heard of this dude was through reading an amazing review of his latest album. Not to say people shouldn’t like him; I just loved how much the journalist ripped his album apart. @Mergatro1d reviewers no longer favor actual rapping in rap songs. Nowadays the albums with more grunts, moans, and repetition of words get the higher ratings. @ShogunRok yeah, I was one of them. I did a few freestyle battles and every one of them had another guy named “Logic” lol. It was always fun because I’d know that no matter what I’m gonna have to battle that guy. I'm trying to understand the Logic. Is he doing the fireflies sign or is he Spider-Man in the game? @playstation1995 imagine if they started rapping in the game LOL that would be golden. @playstation1995 nice set of legends there, mines simular but don't forget about common. That album is a special case. Logic is a rapper, but for that particular album, he tries his hand at Rock and Alternative. Not saying that's an excuse to be "bad", just saying judging who he is as a musical talent based on that would be misleading, to say the least. It would be like saying Michael Jordan is a terrible athlete because of his Baseball career. @Ron22 yeah you’re right about that album. I have to say, I haven’t heard his proper stuff and I’ve yet to form an opinion on him. I just found the review hilarious in a really catty way- music journalists are far worse than gamers any day! @Mergatro1d I listened to his one album because of the track called “Wu-Tang Forever”. Loved how he got every member of the Clan on it. But that’s all I’ve heard from him. I guess I’m an old man because everything I listen to is pre-2005. I listened to It Was Written a few days ago and now I’m listening to Murda Muzik. Very different music from today’s rap. @Octane The horrible reality is that less people type "The Last of Us: Part II" into google. Just be thankful we don't give Final Fantasy games numbers instead of Roman numerals! Meanwhile Rockstar avoided to hire big names because they are more trouble than it’s worth for RDR 2. With the results we all know. This “vip” guests were a novelty 20 years ago, now it’s just cheap PR. Logic has finally started to get the recognition he deserves he has been at it a long time! I think a lot of people don't realize that. He was the opening act for an Eminem show in Hawaii a few weeks back & he is a big gamer as well 👍 so I'm guessing being in The Last Of Us 2 is a big deal. I heard he loved the first game. @Bliquid this is a fan thing Logic loves the first game think of it more like when EdSheeran was in Game Of Thrones. and this is worthy news how? I checked some of his tracks out and was surprised that he wasn't just another mumble rapper. Still not a patch on the golden era MC's, though. Heard of him, but modern rap music doesn't interest me, so I haven't listened to anything he's released. As long as he's playing a character and not just doing this as a publicity thing, it's cool. Of course a lot of you white people haven't even heard of Logic, no surprise there. With that being said, Logic is a terrible rapper and I hope he really doesn't have a role in TLOU 2. @CK97 I mean Neil Druckmann posted the pic. I'm pretty sure it's happening like it or not. Never heard of him. But ugh, i hate when celebrities are in games. Up in here, up in here”. Best opening from a game ever. Well known, you say? Um, sure. I like it under my rock. 2) People haven't heard of him or his songs. We're reaching Nintendo fan-level of oblivious! @Gmork___ Ohh, so like, you hate the entire cast of the Last of Us, God of War and Death Stranding? Just because they're celebrities? Nooo lol. How are they celebrities? Ive never heard of them, are they not just voice actors initially or are they like legit television stars from popular shows/movies? Having jacky chan as himself in jacky chans action kung fu obviously makes sense. What im talking about is akin to that time when busta rhymes was in the halloween movie. Like...... What?! ?